It isn’t every day one gets to visit one of the top-tier Manufactures — but I have been lucky enough to visit Jaeger-LeCoultre twice in one year. The brand, tucked away in the village of Le Sentier, Switzerland, has a rich history of watchmaking and innovative pioneering that sets it apart from most others and flags it as a benchmark leader. 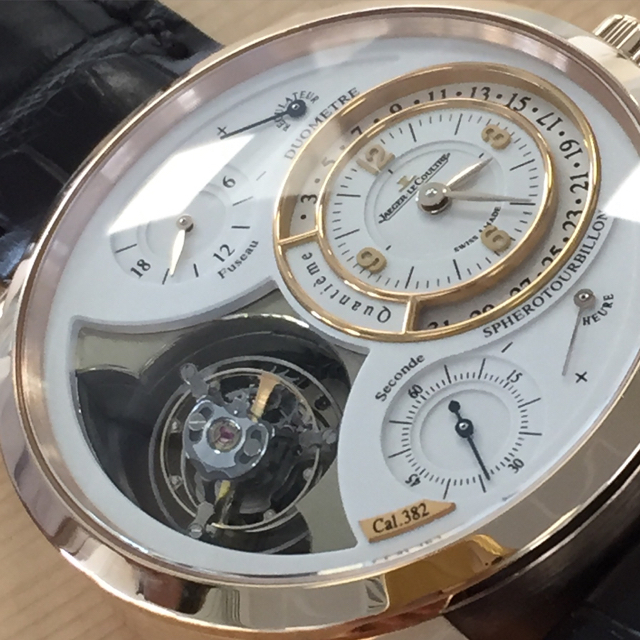 In our article on HauteTime, we bring you a close-up look at the Manufacture, check it out here. Meanwhile, we want to bring you a look at some of the those master artisan works. From enameling to gem setting, guilloche work and other arts, Jaeger-LeCoultre’s craftsmen are masters at their art. Recently, the brand brought all of these facets of watchmaking together inside its Manufacture under one “roof.” Stepping out of the elevator on to this floor is almost like peering inside a big glass fish bowl. All of the artisans are visible from the hallways — working their crafts for all to see. Additionally, there is even a table in the center of the room – onto which live streaming of the gem setting or the paining process can be seen. 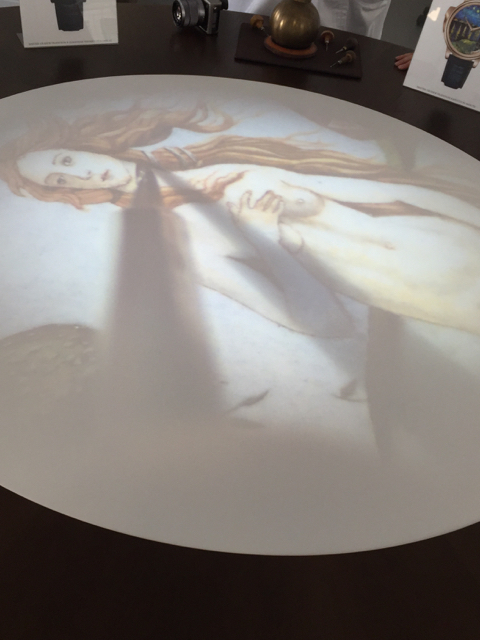 As the artists are hand painting the dial, the image is live-streamed onto a table in the center of the room. Approximately 30 master craftsmen and women occupy this Rare Crafts workshop — making them one large tour de’ force of artistic wonder. Among those artisans: four guilloche makers, with one specialist who works on the brand’s antique guilloche machines; seven grand feu enamellers working on timepieces under the guidance of the renowned watchmaker Miklos Merczel – who started the division just about 20 years ago; and half a dozen gem setters. I was lucky enough to get to try my hand at the antique guilloche engine turning – wherein you place the dial on its holder and then turn the handle of the guilloche engraving tool at a precise rhythm and with the same strength, in order to achieve the perfect depth and design. It is no easy feat, but once I got the hang of it- I actually did quite well. I also have been able to do some hand painting — and i got the hang of that but not being an artist- my dial was — well — quite amateur — sort of like a three-year-old’s best work. I didn’t try the gem setting – but I probably would have found picking up those diamonds with metal tweezers a bit beyond my abilities. Every diamond is hand set into each timepiece — to varying degrees depending on the design (Photo: R.Naas). At any rate, being among the brand’s best artisans was truly inspiring. 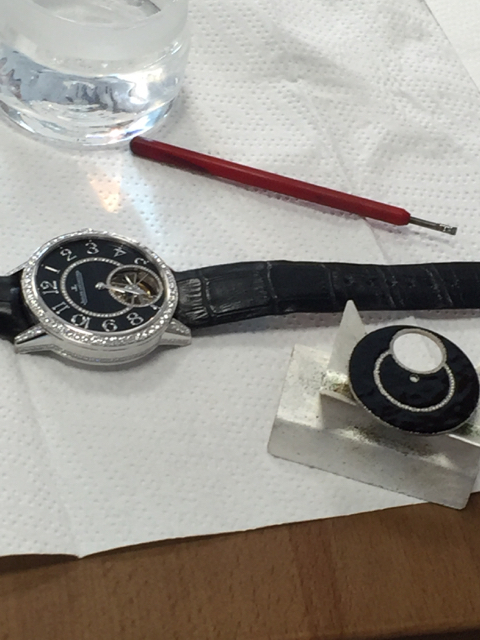 In speaking with one of the enamellers, Yoan Descollonges, we learned that to paint a single dial — spending 8 hours a day painting — can take weeks to complete. HIs version of the Botticelli Brith of Venus was 17 days in the making. The master gem setters also take hundreds upon hundreds of hours to ready a watch for stone setting and then to set the diamonds and gems. Of course, depending on the complexity of the stone-setting, the time varies, but to set an entire Reverso watch in diamonds using the brand’s snow-setting technique takes upwards of 600 hours. Finally, in this area, we have the technical masters — those who assemble the most incredible Jaeger-LeCoultre movements such as the Gyrotourbillon, Spherotourbillon, repeaters and more. 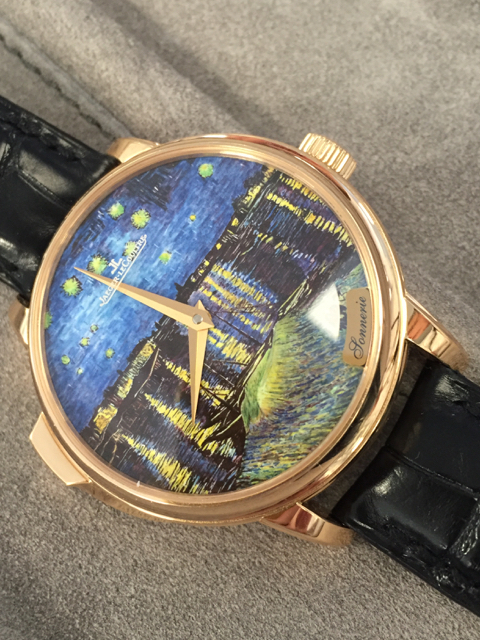 In fact, while touring this incredible space, we got our hands on three new watches out this year: Master Grand Tradition Minute Repeater with Van Gogh Starry Nights over the Rhone dial; Master Grand Tradition QP 8 Days; Rendezvous Tourbillon Enamel. Each has its own combination of elegance and uniqueness from the inside out. 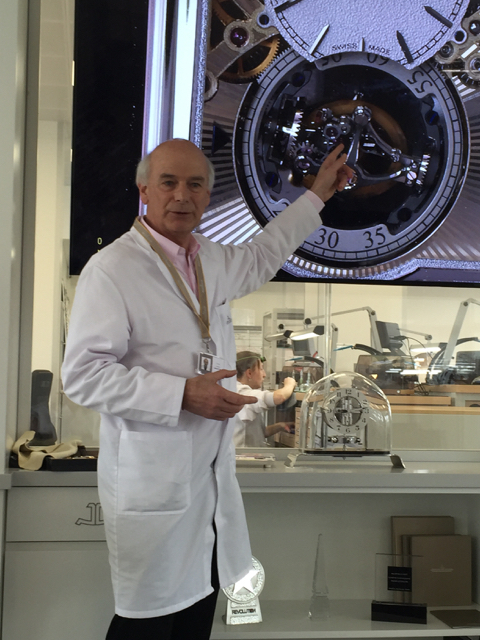 Our tour was led by Christian Laurent, master watchmaker with Jaeger-LeCoultre for 44 years, and inventor of the Spherotourbillon and Gryrotourbillon, along with other timepieces. 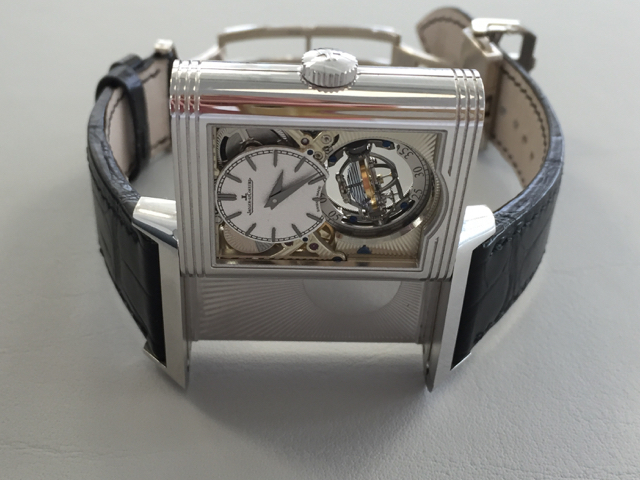 He spent a great deal of time discussing the challenges of developing these watches, as well as those involved in creating this year’s Reverso Minute Repeater Gyrotourbillon– that was four years in the making. In fact, we had the good fortune to spend some time talking with him about his challenges — and will bring you our complete interview very soon. Stay tuned.